Pink Shirt Day is on Friday 17 May in 2019. Join the movement to stop bullying and spread aroha and kindness! Want to purchase an official Pink Shirt Day 2019 t-shirt? A special announcement is coming on Monday 29 April. If you register for updates, you'll be the first to find out how you can buy one! 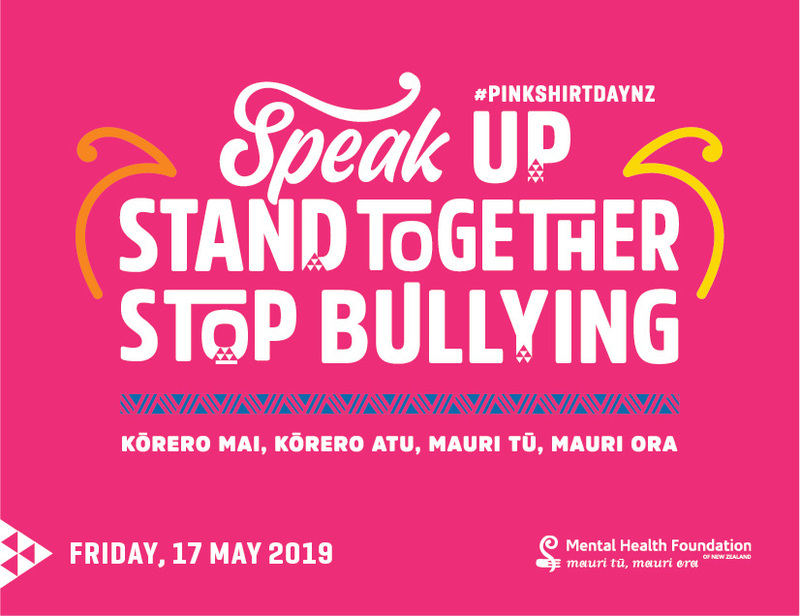 Help us turn Aotearoa into a sea of pink this Pink Shirt Day to Kōrero Mai, Kōrero Atu, Mauri Tū, Mauri Ora – Speak Up, Stand Together, Stop Bullying! Celebrated annually around the globe, Pink Shirt Day began in Canada in 2007 when two students took a stand against homophobic bullying, after a peer was bullied for wearing a pink shirt. In Aotearoa, Pink Shirt Day aims to create schools, workplaces and communities where all people feel safe, valued and respected. Order your free event pack!